Just turn your binge-scrolling time on Twitter into Chinese learning time. We’ve got 10 super interesting, smart and fun Twitter feeds that’ll get you there! By following these accounts, you’ll get everything from daily vocabulary lessons to insights on Chinese slang and idioms. We’ve even found one that’ll do custom translations for you. You can follow some of these feeds from your personal account to inject Mandarin lessons into your day. Or you can even create an account entirely for Chinese-focused feeds. Either way, Twitter will become an important new part of your Mandarin study regimen. Not all Chinese language Twitter accounts are created equal, however. You don’t want to follow any dead blogs or low quality feeds. Before you get on a following frenzy, here are a few things you should look for when building up a good Chinese language learning feed. What Should I Look For in a Twitter Feed to Learn Chinese? Lots of activity. What’s the point in following a Twitter account if they rarely or inconsistently post? 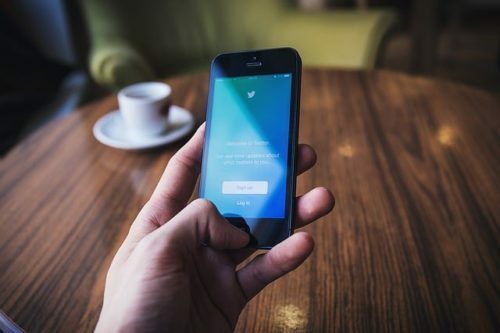 A Twitter account that’s regularly posting, at least once a week, will keep your learning fresh and your motivation up. All of the translations. A good feed will feature Chinese romanization, 拼音 (pīn yīn), and Chinese characters, 汉字 (hàn zì), as well as English translations. If you’re an intermediate or advanced learner, just the latter two will do. But for the beginner, understanding pīn yīn and having those romanized terms available are necessary for learning and growth when it comes to Mandarin Chinese. A focus on language content, rather than other subjects. Multi-themed blogs are cool and all, but if you want to learn Chinese, it doesn’t make much sense to follow an account that posts Chinese subjects every once in a while but mostly posts about fashion or food otherwise. For active language learning, stick to the strictly Mandarin Chinese language feeds. Of course, an exception here would be feeds that post about all kinds of topics in Mandarin. This can provide an immersive way to learn. Links to useful resources, such as new blog posts or infographics. Translations and lesson plans are very helpful for learning Mandarin. However, a Chinese language Twitter feed that also posts eye-catching infographics, videos and other media can make language-learning more exciting. Decipher Characters is a Twitter feed that’s full of blog posts, Mandarin Chinese translations and Chinese thought pieces from around the internet. If you want to know more about the history of certain Chinese characters, you’ll find this account to be very interesting. Decipher Characters also posts slice-of-life comics that relate to learning new languages for your entertainment. Olle Linge’s Twitter account is definitely a favorite among Chinese learners. He regularly posts excerpts from his blog Hacking Chinese, random full translations of different words and phrases and common humorous phonetic Chinese mixups that any Chinese learner will relate to and find amusing. If you appreciate a dose of comedy when it comes to learning, this is a great Twitter account to follow. Here’s the best of both worlds for Chinese learners: a language resource that’s both informative and entertaining. Follow FluentU Chinese to stay up to date on the latest articles for language learners, covering everything from grammar tricks to smart study techniques to specialized vocabulary and more. If you like what you see on the Twitter feed, there’s much more to learn on the FluentU Chinese app. This innovative tool takes real Chinese videos, like movie trailers, YouTube clips, inspiring talks and more, and then supercharges them with interactive captions. You can click any word in the caption for in-context definitions and pronunciations. FluentU also creates flashcards and quizzes based on the videos, to ensure you’re actively learning from what you watch. 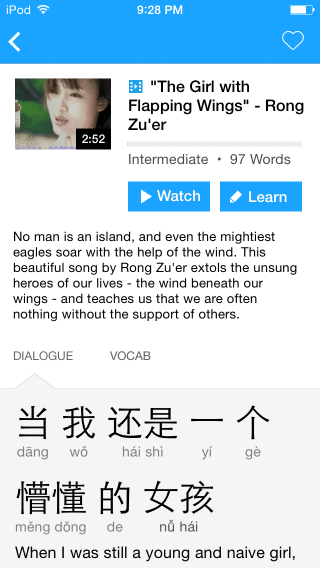 It’s an awesomely addictive way to learn Chinese the way it’s really spoken! Chinese Learning is the ideal Twitter account for you if you prefer to learn with images. 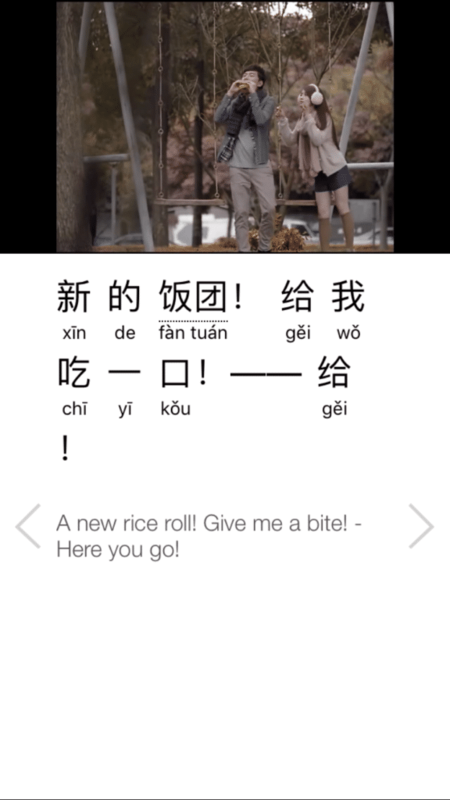 Flashcards, full translations of daily expressions, phrases, keywords—Chinese Learning has it all. This account also regularly posts little mini quizzes to help challenge your Mandarin knowledge. Just keep in mind that Chinese Learning bounces back and forth between using actual Chinese romanization and numbered tones in their tweets, which can be confusing for some learners. Liz Carter is a Chinese-English translator and author. While she does occasionally post about her cat Desmond and other bits and pieces of her life, most of her Twitter feed is dedicated to Chinese. That includes words of the day, language tips, Chinese news and full translations of Mandarin idioms and phrases. Liz’s feed is especially entertaining for her informative breakdowns of Mandarin phrases that could go over the heads on non-native speakers. Why not trust a professional translator? A Chinese Verse, 一句中文 (Yījù Zhōngwén), also known as Say it in CH, is another great Chinese Twitter feed that boasts primarily Chinese language videos. This feed also includes a lot of image-heavy translations for more visual appeal, and they also do Chinese translations for anybody that direct messages them. Say it in CH posts just about every day, so you can expect a feed full of Chinese terms and their translations. Remember using flashcards when you were in school? They were a super handy tool for memorizing things. Even if your primary school days are over, flashcards can still be very useful for learning Mandarin. 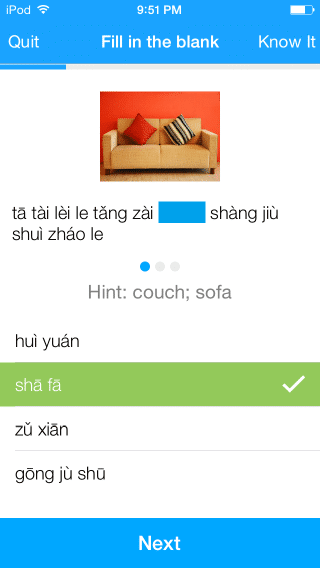 HaveFunLearnChinese has a website full of flashcards for learning Mandarin. Their Twitter feed often features links to these tools, plus infographics similar to Say it in CH and language games. Languages are funny things. We can learn as much as we can about a language from books and classes, but one essential thing usually can’t be picked up in those tools—slang. ChineseMe is a great Twitter feed for learning about hip new slang from Chinese-speaking youth, as well as understanding Chinese idioms that are still used by Chinese people today. LearnChineseWords is the Twitter account for the language-learning website of the same name. If you’re an intermediate level Mandarin learner, this account is perfect to add to your feed. They regularly post a word a day with full translations and deconstruct Mandarin phrases. Consider LearnChineseWords a sort of sampler platter of Chinese language tools, as they often retweet and promote other language blogs as well. Who doesn’t love slice-of-life Twitter feeds? You can still learn Chinese from these kinds of accounts without boring lesson plan-style posts. Chinese With Mike is one such Twitter feed, and the name is pretty self-explanatory. Join Mike on his adventures teaching Mandarin Chinese and pick up some tips along the way. He also has a website and coursebook series. His hair’s also pretty awesome, too. Learning Chinese with Twitter makes learning the language a little bit less strict and difficult. While you should still have a formal study plan in place, or at the very least watch Chinese language videos on the regular, popping over to Twitter for entertainment can also be an intentional way for you to brush up on some new phrases or maybe learn a little bit more about Chinese culture. Technology’s great, isn’t it?